It’s always sad when an actor we spent a lot of time with passes away. Often, it’s the big movie stars that we remember most. But sometimes, it’s the character actors in the background, who were always there, that we find ourselves missing when they’re gone. Tony Burton played the role of Duke through the first six movies about Rocky Balboa. He died yesterday at the age of 78. Tony Burton is credited with nearly 90 film roles dating back to 1974 but he’s probably best known for his role as the friend and trainer of Apollo Creed, Duke Evers, starting with the first Rocky film in 1976 and running all the way until Rocky Balboa in 2006. Burton retired from acting shortly after. A native of Flint, Michigan, his death was reported by mlive.com. While Burton had apparently been in failing health for the last year, he was never given an official diagnosis of whatever was causing his illness. 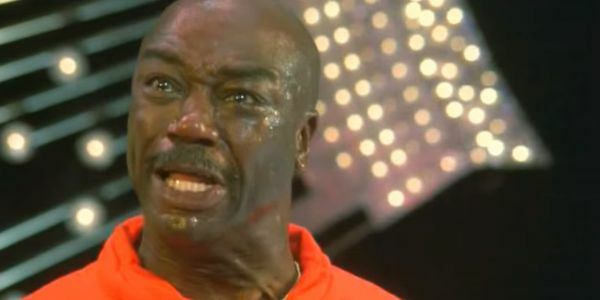 While Tony Burton’s face is an indelible part of the Rocky franchise, it became so without his character even having a name for the first two films. For both Rocky and Rocky II Burton is only credited as "Apollo’s Trainer." It’s not until Rocky III that the part is given an actual name. In Rocky IV when Apollo is killed in the ring, Duke trains Rocky to fight Ivan Drago. Duke returned as Rocky’s trainer for the next two films, as well. Carl Weathers, the actor who played Apollo, offered his condolences via Twitter when he learned of Burton’s passing. Due to the actor’s failing health, he had been unable to see Creed, the film that continues the storyline of Rocky Balboa and introduces the character of Adonis Creed, son of Apollo. Duke’s family was also represented in the film. Wood Harris plays Tony "Little Duke" Evers, the manager of Apollo’s gym, the Delphi Boxing Academy, and son of Duke. Tony Burton himself was seen in the film, in a picture on the wall in Rocky’s restaurant. It seems like we’re losing far too many great talents these days. At least with actors we love we will always have their movies to help us remember. Tony Burton's legacy may also be celebrated in some small way this weekend where Sylvester Stallone is nominated for Academy Award for reprising his role of Rocky Balboa in Creed.